We’ve all been there. You made a thorough checklist for the packing process, used a checklist tool like the one we offer, or made several if you’re managing an office move with employees. The period before a move can be quite extended as one must handle weeks if not months of looking at new places, finding the right one, and then organizing your move with or without the help of professional moving companies in Chicago. But here’s the thing. No matter how much you plan, you can never fully anticipate every possible outcome. Even if you’re constantly checking for any changes in the weather on moving day, you still run the chance of there being a freak rain or snowstorm. And no matter how much you plan in advance, even the best-prepared packers can fall behind. Below we’ve listed four of the most common moving day mistake and laid out some strategies that will help you navigate these tricky and all-too-common incidents. Like we said, no matter how much planning you do in advance of getting your packing and moving underway, things can come up that slow you down. Or you can simply underestimate the amount of time packing things the right way takes. That said, you shouldn’t leave any boxes to pack on the day of, even if you think to yourself it will just take a few minutes. It never does. To avoid falling behind schedule, create a timeline along with your checklist and follow it to the letter. Once your move is good to go, get your packing materials as soon as possible and if you do happen to fall behind, then that’s when you should hire professional packers. But don’t wait too long. The best movers book up quickly. As we mentioned, many people assume packing will take less time than it does. It can be tempting for many people to leave tasks they believe will go quickly until the morning of the move. Just in case we haven’t been clear, moving day is naturally unpredictable as literally anything can happen. 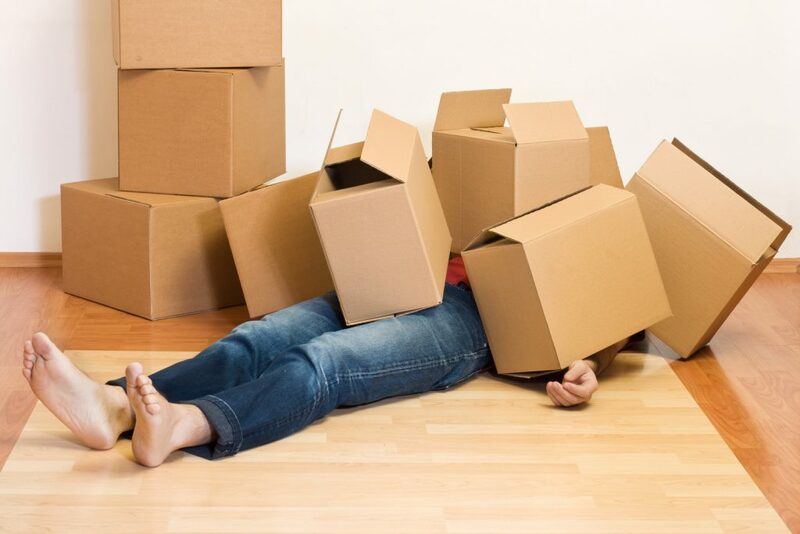 You’re moving your entire apartment or home; basically, you’re moving your life and lives have a habit of getting complicated. Whether you are moving in your twenties or are twice that age, this is the most classic mistake that even those who have moved several times can make because it’s worked for them in the past. Believe us when we say that they got extremely lucky. Many times when we encounter an individual who has waited until the morning to get the rest of their things packed, he or she ends up paying extra for the overtime accrued with the movers or truck they’ve rented. We’re just looking out for you! When things start going off-course during a move and you fall behind, it can be tempting to ignore the best safety practices and simply start rushing to make your deadline. The problem with this is that you will almost certainly drop something or even worse, trip, fall, and seriously hurt yourself. The emergency room is the last place you want to be on moving day so follow our tips for moving safely and take your time. Additionally, if this is your first time moving in Chicago, factor in at least an extra hour of buffer time to account for traffic, difficulty with parking or any other incidents that may happen. Last but not way least, let’s not forget that all-too-important essentials box, a box that contains everything you’ll need to have immediate access to for your first twenty-four hours in your new home. If you’re unsure how to pack one or what to put in it, read our how-to pack an essentials box guide. After all, every move should include an essentials box, otherwise, you’ll find yourself making a mess trying to find what you need just to get through the first night. And keep in mind, while there are certain standards that go in all essentials boxes, like toiletries and a change of clothes, there are others that might just be particular to you, like your fancy coffee beans and French roast without which you simply can’t start the day.